November was all about nonfiction as I co-hosted Nonfiction November, one of my favorite reading events of the year! I read/listened to 10 books (8 of them nonfiction) and most were stellar. I shared my 2017 Best Holiday Gifts for Book Lovers guide. 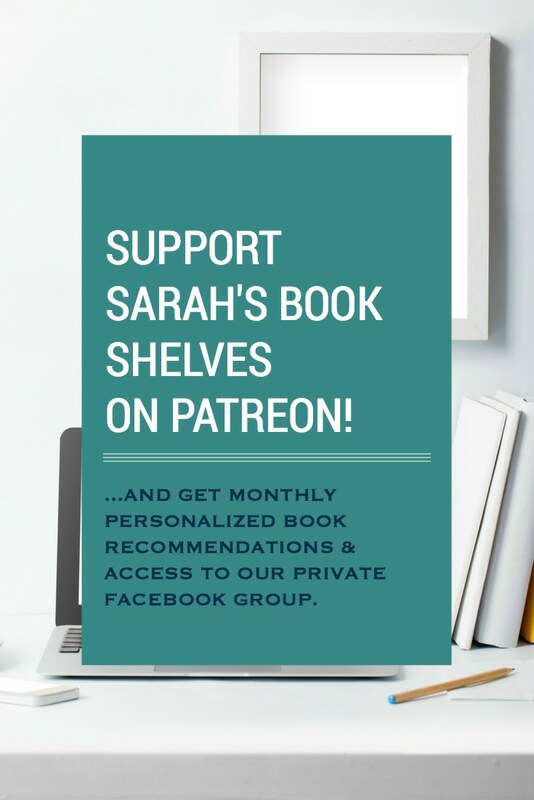 I’ve got you covered for all the book lovers on your shopping list…book recommendations, my favorite book subscription service, and some bookish gifts that aren’t books! December Book of the Month Club selections will be announced tomorrow! Stay tuned for my commentary on the December selections. In the meantime, prepare for the big reveal by using my new guide (and free template below) to help you find your go-to and no-go BOTM judges! Choose the best Book of the Month Club selection for you every time! Free Range Reading – Every year, I reserve December to read whatever the heck I want! I’m hoping to knock out some backlist books that have been on my TBR forever, possibly re-read an old favorite, and start some 2018 releases. No Book Reviews – but, I’ll still be talking about the books I’m reading in my Monday What I’m Reading Now posts and on Twitter and Instagram. Year End Wrap-Up Posts – such as Best Books of 2017 lists, year-end reading and blog stats, and general reflection on 2017. A Look Ahead to 2018 – an overview of some exciting new things happening around here next year! PS – last year’s Best Book of November was Before the Wind by Jim Lynch (my review)! 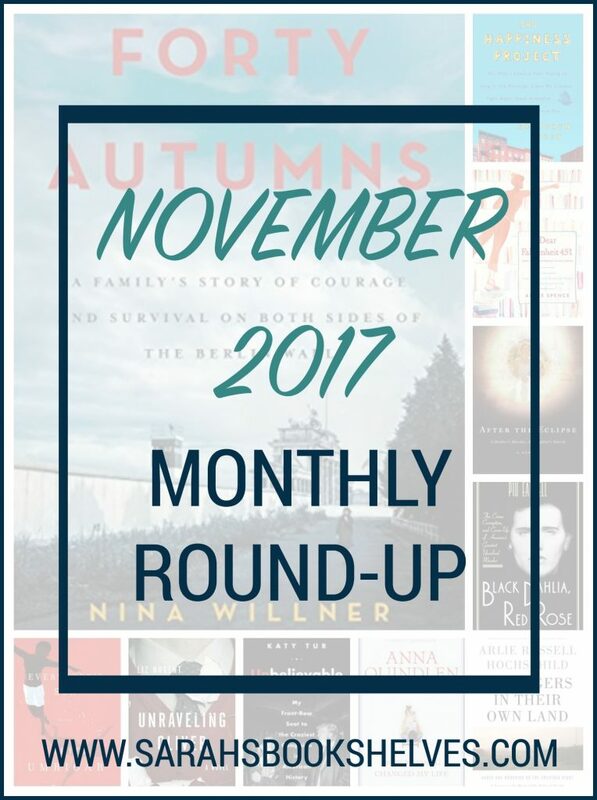 Book of the Month Club November 2017 Selections: What Book Should You Choose? I was thrilled to be featured along with nine other bloggers in Bibliotaph’s 10 Books Recommended by Book Bloggers post (I recommended Quicksand by Malin Persson Giolito)! I’m a big multi-tasker when it comes to reading. I read whenever and wherever I can…and if I’m on any workout machine other than the treadmill. Hollie at Reading on the Run has mastered reading an actual hard copy book while running on the treadmill! Impressive! I’m always a frantic mess over the holidays (even though I vow every year not to let this happen), so I appreciated Modern Mrs. Darcy‘s posts about being Anti-Frantic and Emotional Labor. Kate at Parchment Girl predicted who would win the Goodreads Choice Awards. We’ll see how her picks stack up! The Best Books of 2017 Lists are rolling in! In a couple weeks, I’m going to share a new tool to help you figure out which of these lists you should pay attention to…and which you shouldn’t…based on your reading taste! To date we have: Publisher’s Weekly, Amazon, Kirkus Reviews, O Magazine, Washington Post, New York Times 100 Notable Books, The Guardian (Part 1), Esquire Magazine, Elle Magazine, Time Magazine (nonfiction), Library Journal, Harper’s Bazaar, and Pop Sugar. It’s also Holiday Gift Guide season! I published mine on Black Friday. Here are some others I liked: Top Shelf Text, The Ardent Biblio, and Modern Mrs. Darcy. And, finally, we’re starting to see some Anticipated Books for 2018 lists (I’ll be sharing mine right after Christmas): Parchment Girl, Book Riot’s 101 Books Coming Out in 2018, and Susie at Novel Visits. Look at you! Having your monthly round up done so early. I’m very curious to see what the BOTM choices are for December since I’m having trouble finding much I want to read. I’m about a third of the way through Forty Autumns and am so glad you pointed me toward it. I really like it and am learning so much. I know…a rarity for me, right?! I think I have Forty Autumns – it sounds like a book I need to look into. Thanks for providing the links to so many best of lists!! It’s so fun to see what books made all the lists. Free range reading is a perfect way to describe my current reading life, I can’t wait to hear what books you end up choosing for Dec. I may try some reads that would be way out of my comfort zone. Welcome! I love tracking them. Cheers to free range reading! Thanks for the links to all the “best of” lists. It’s always overwhelming when we get to the end of the year, and everybody is like Read this! Read this! Read this! Congrats on a successful Thanksgiving and Nonfiction November. Haha – I know, right?! Except not as much for me this year…I’m not falling in line with most of these lists as of now. That’s bizarre and you’re welcome! Thanks for linking to my posts! Free-range reading for a month sounds amazing. Unfortunately, I’m waaay behind on my reading for the year, so I really need to use the first half of December to squeeze in some books that I think might have a chance of making my best-of lists. At the same time, I’m super pressed for reading time. Yikes! I always feel the pressure in December. I hear ya! I’m reading some that I’m hoping might make my best of lists right now, but I think I’ll be done with that soon. Good luck with your final push! Thanks to you and your compatriots at Nonfiction November 2017 I read 5 nf books. Woo hoo! I’m also using December to read whatever the heck I want- which is kind of meh so far. I reread an old favorite and it dropped from 5 stars to 3. Gulp. I’m hoping to get a copy of Seven Husbands and also to listen to The Power. Beyond that, who knows what will happen this month?! Oh no! What was the old favorite? And I think you’ll love Seven Husbands. You’ve read everything nonfiction…so impressive! I love that you reserve December for reading whatever you want. I tend to feel pressure to finish my yearly challenges, and that’s not such a good feeling. It’s good to give ourselves a break! Sounds like November was a great reading month – that’s wonderful that you got so much nonfiction reading done. I don’t blame you for reserving December as a read whatever you want kind of month. It’s stressful enough with all the holiday happenings!